JDBC Driver is a software component that is used to interact with the java application with the database. 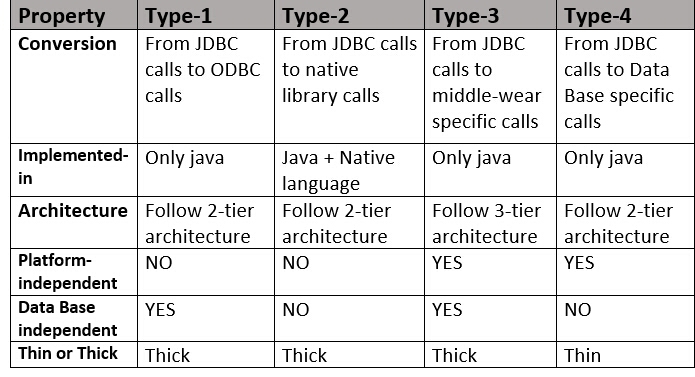 The purpose of JDBC driver is to convert java calls into database-specific calls and database specific calls into java calls. This driver is also known as Type-1 Driver. Internally this Driver will take the support of ODBC Driver to communicate with the database.Type-1 Driver convert JDBC calls into ODBC calls and ODBC Driver convert ODBC calls into database-specific calls. Using Type-1 Driver for prototyping only and not for production purposes. This driver can be provided by Sun Microsystem as a part of JDK. Type-1 Driver is database independent driver. It is the slowest driver. Type-1 driver internally depends upon ODBC driver so ODBC driver concept application only on window machine i.e. platform dependent driver. Native API driver converts JDBC calls into database-specific native libraries calls and these calls are directly understood by the database engine. Large database vendors, such as Oracle and IBM, use the Type-2 driver for their enterprise databases. Type-2 Drivers aren't architecturally compatible. Type-2 Drivers force developers to write platform-specific code. Good performance as compared to the type-1 driver. Type-2 Drivers are operating system specific and compiled. It is a database dependent driver. It is a platform-dependent driver. For database middle-ware, Type-3 JDBC drivers are pure Java drivers. java application communicates with Network Protocol driver. Network protocol driver converts JDBC calls into middle-wear specific calls, the middle-wear server communicates with database, middle-wear server convert middle-wear specific calls into database-specific calls. This driver does not directly communicate with the database. So it is database independent driver. For any database, this driver is the same. It is fully written in Java. So it is platform independent driver. No client-side libraries are required. Network support is required on the client machine. When we change the database, we need to change the middle-wear code. Maintenance of Network Protocol driver becomes costly. It is also known as the Thin driver. The thin driver converts JDBC calls into database-specific calls directly. Thin driver directly communicates with the database by using database specific native protocol provided by the database vendor. It is a platform, independent Driver. No software is required at the client side or server side. Database dependent driver, because it is directly communicating with the database direct. MySQL then we should go for the type-1 driver. 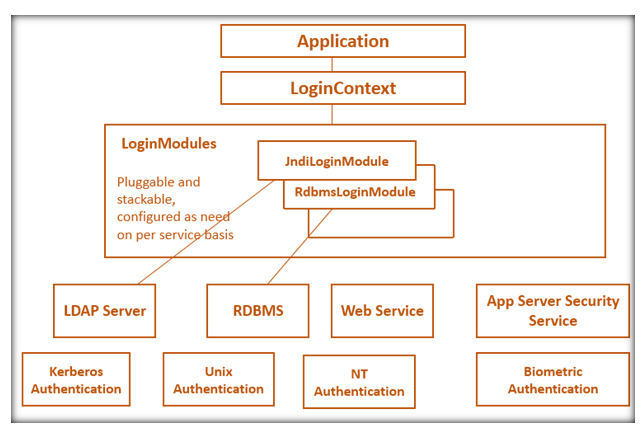 Example:Standalone application,Small scale web application. In our application, if you are using multiple databases highly recommended, you should go for the type-3 driver. Because the type-3 driver is database independent driver. Example: large scale web application,Enterprise application. To connect to multiple databases, developers can use type-2 Driver. if the database driver requires some extra component to communicate with database such type of driver is called the Thick driver. if the database driver does not require some extra component to communicate with database such type of driver is called the Thin driver.